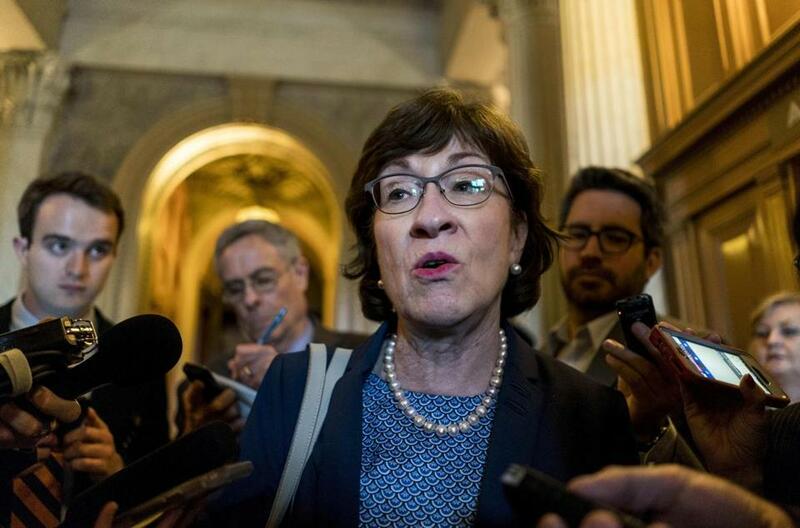 Democrats are particularly incensed at Senator Susan Collins, who delivered a 44-minute-long floor speech in October declaring her support for Supreme Court nominee Brett Kavanaugh. WASHINGTON - Democrats and liberal groups on Friday pointed to a Supreme Court ruling in an abortion case to argue that Justice Brett Kavanaugh would vote to overturn Roe v. Wade, focusing their ire on Senator Susan Collins, a Maine Republican who supported Kavanaugh’s nomination last year and faces a tough 2020 reelection. ‘‘If the far left groups weren’t targeting Senator Collins for Justice Kavanaugh, they would be targeting her for something else,’’ Clark added. ‘‘That means women & men who believe women should have access to safe, legal abortion must stand up stronger than ever for women’s constitutionally protected health care rights,’’ Murray said in a tweet. Collins’ office countered such criticism Friday by noting that Democrats responded with ‘‘near total silence’’ after Kavanaugh provided the decisive vote in Planned Parenthood’s favor in a December Supreme Court ruling.